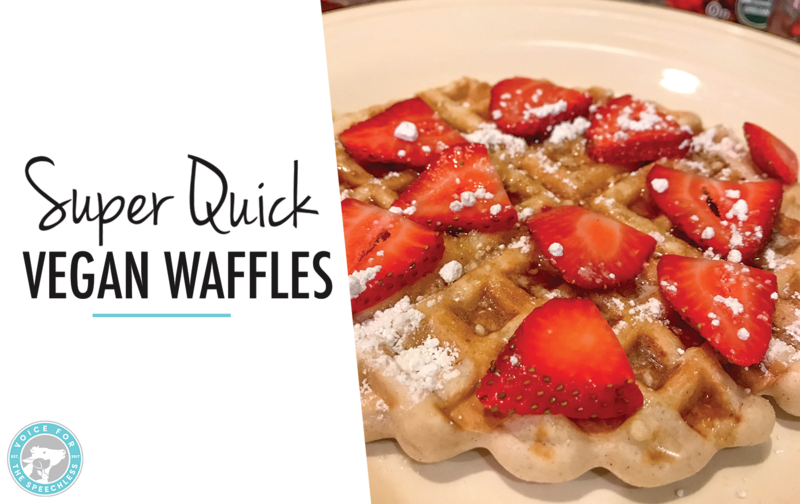 If you are looking for a fast way to make some yummy vegan waffles, this is it. This is not from-scratch. But, a fast way and easy way to whip up delicious vegan waffles. 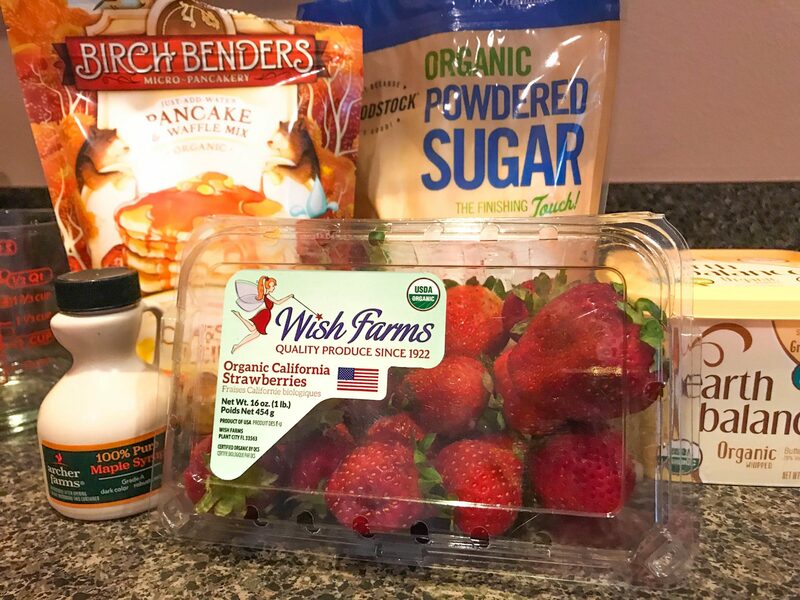 So, I found this vegan pancake/waffle mix at SuperTarget. 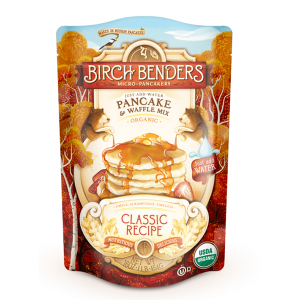 It’s Birch Benders Organic Classic Pancake and Waffle Mix and we just love it. You can make it how the instructions say on the back or you can jazz it up a little. Here’s what I do. In a large bowl mix Waffle Mix, Water, Oil, Cinnamon, Nutmeg, Garam Masala, & Vanilla. Put about 1/3 of mixture into Waffle Maker, remove after 4 minutes or golden brown (done). To finish, spread butter on top, add cut strawberries, syrup, and sprinkle on powered sugar.